Welcome to the new babe on the block! 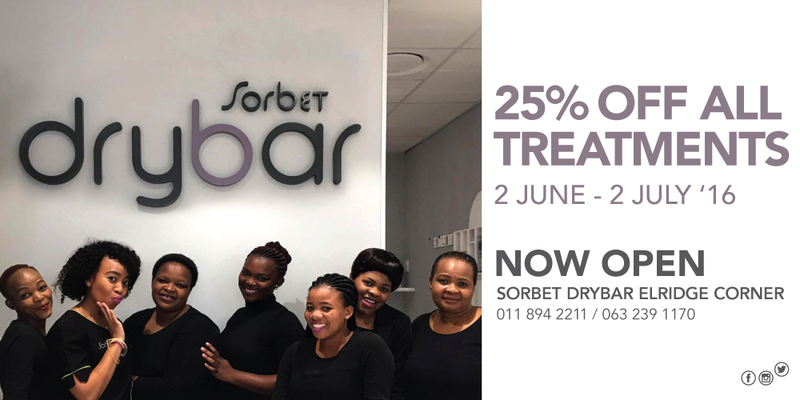 Sorbet Eldridge corner opened today and for the next month you’ll save 25% on all treatments! Call 011 894 2211 or 063 239 1170 to make your booking! Offer valid from 2 June 2016 to 2 July 2016 at Sorbet Drybar Eldridge Corner only. Discount only applicable on treatments and excludes all retail products and gift vouchers. Sorbet reserves the right to cancel this promotion at any time.